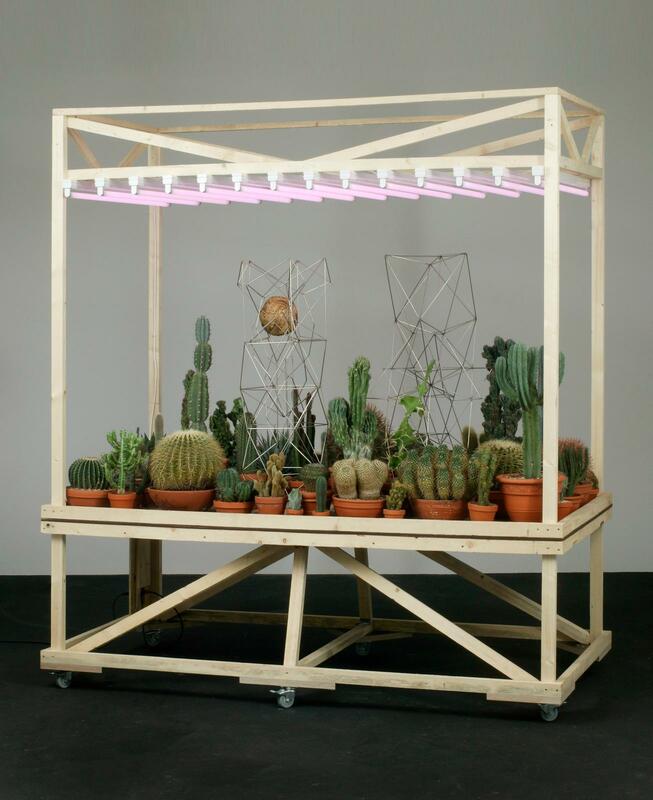 A collection of cacti stands on a platform lit with fluorescent lights. These contain a phosphor blend that makes them appear pinkish. 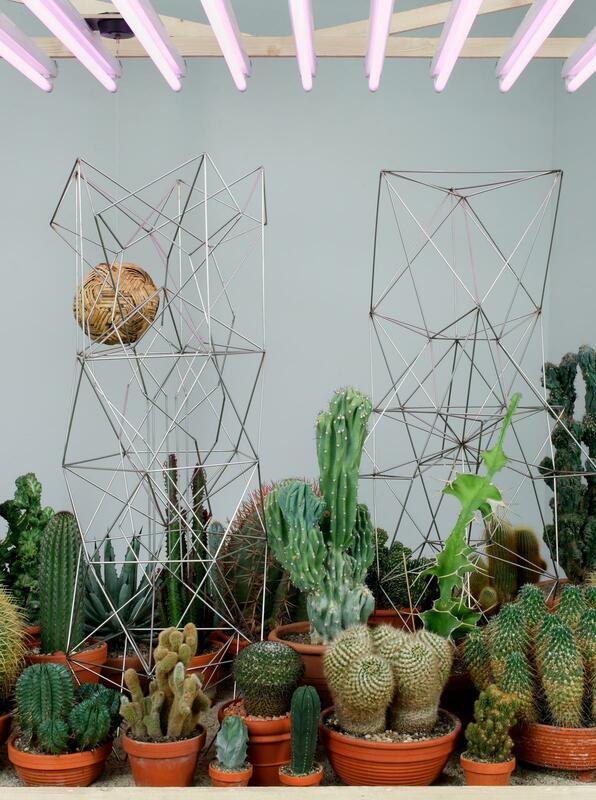 Two steel structures are positioned among the cacti; a sphere made from reeds hangs from the frame of the platform and slowly rotates.